Super Duper Mega Ginormous Arduino Section of Goodies! Say hello to our new Ginormous Arduino Robotics Division. When we do things here at Trossen Robotics we tend to do them over the top. It is probably because we are still yearning for love and acceptance deep down inside. Blame our parents. Rare float switches, Keychain Remote Switches, and a Huge Red Fire-All-Missiles-Button are just some of the cool things you will find in here. Your Robot Ninja Can Now Rappel! Does your Robot need to scale a high tower to save a Robot Princess? Need to raise the drawbridge to keep out unsightly suitors? 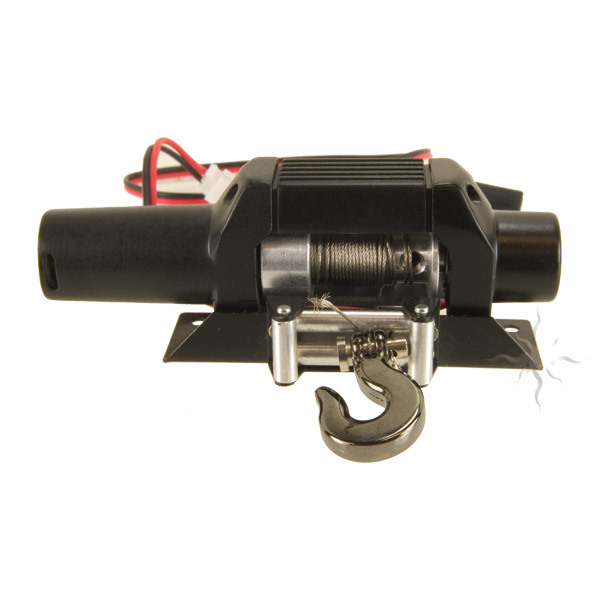 The RoboWinch can help any lifting, lowering, winching, or dragging you need done up to 3lbs. Plus they come with an extra motor just in case you push this little guy to the limit! The RoboWinch accepts a standard PWM signal for input, so you can use any of our servo controllers to operate it. Man I wish I had one of these when I used to play with G.I. Joes.